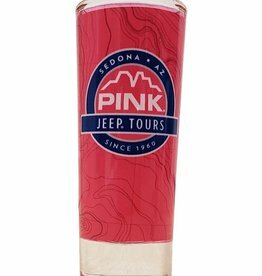 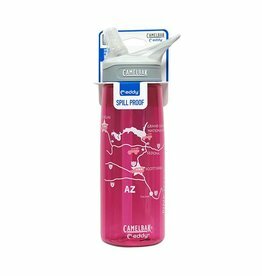 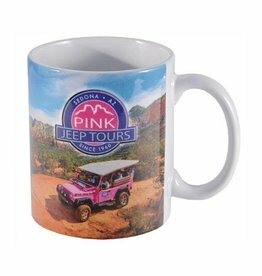 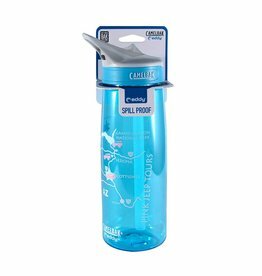 Pink Jeep Tours ceramic 10oz coffee mug with photos of Sedona's Broken Arrow and the Ancient Ruins Tours. 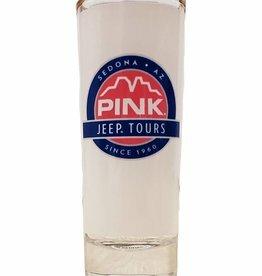 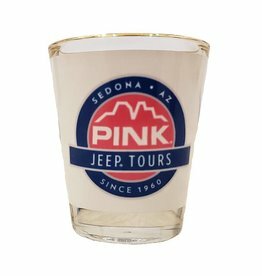 Shot glass with gold rim and Sedona Pink Jeep Tours logo. 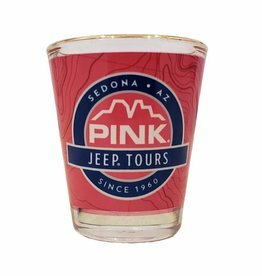 Shooter glass with gold rim and Sedona Pink Jeep Tours logo.